Indian Festival Tours (IFT) - is a product of Royal Indian Voyages Private Limited (RIV) , a leading and professionally managed Inbound Tour Operators & Destination Management Company based in New Delhi , India . We, at IFT - RIV have the expertise and experience to design programmes that have real meaning to the concept of originality. Right from choosing the concept of your tour to final departure, our dedicated professionals provide unique solutions, which are compelling, and yet, cost effective to ensure that your holiday suits your budget and is the most memorable of your lifetime. India is the Land of fun and frolic. Indians celebrate innumerable fairs and festivals that there are more number of fairs and festivals in a year than the total number of days. We at, Indian Festival Tours and Royal Indian Voyages have put a lot of effort into visiting these festivals to study their history, cultural & religious importance and the feasibility which equipped us to show you these festivals expeditiously. Our belief is that Destination Management Service is all about seeking, finding and gaining experience, adventure and excitement. We navigate you smoothly to both well-known and lesser-known destinations - with delightful results. Our aim is to be amongst the top 5 Destination Management Companies in India within the next 5 years. As a service provider we are committed to bringing about small but significant changes in Tourism & Travel industry, keeping a well-trained eye on the changing trends to ensure ultimate client satisfaction. Inbound tours to Indian Sub-continent including neighboring countries. Organizing Conferences & Special Events. Only specialists having tailor-made tours for all the colourful and spectacular Festivals of India . We, at IFT - RIV give meticulous attention to each and every aspect of your holiday. Our super-efficient round-the-clock service system ensures you have a smooth Holiday in India . Once our client touches Indian soil, he is our responsibility and no matter what he will never face any problems. The professionalism we maintain and the personal attention we give have endeared IFT - RIV to the thousands of tourists who have holidayed with us. Who better to serve you than the company with the best personalized services? Some of the unique qualities that make IFT - RIV the best are. Our superior service quality, philosophy and focus on personalized attention. Our Directors vast and collective experience of over 3 decades in the Tourism Industry. Our market standing and rapport with the suppliers to negotiate best rates for you. Our experience, reliability and responsiveness. Our resources and hands-on experience to guide and organize your Holidays successfully. Unni has the wealth of more than 20 year's experience in Tourism Industry, has traveled throughout Indian sub-continent and abroad. He is responsible for Business Development. 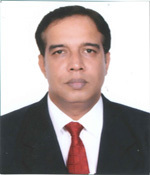 His hard work and entrepreneurship is the key factor behind the success of the organization. His decision making abilities and easy going nature makes him the best leader and the best friend of our clients and associates around the globe. 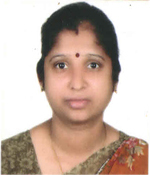 Geetha has been associated with the organization ever since its inception and looks after the Finance and Administration. A caring lady, she enthralls motivation and ensures quality control, error free operations and brings the best out of the IFT- RIV team. Dileep is a qualified lawyer, yet his passion for Tourism has led to our having him with us to head our Operations Team. 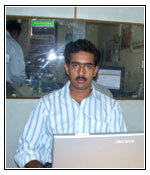 He ensure each of our clients go back happy by coordinating well with the Team, Hotels and associates. His negotiating abilities with the suppliers enable us to offer holiday packages that give the best value for your money. Our staffs are more than just professionally trained; they are well versed with ground realities. They have been imparted with the ancient Indian tradition of "Athithi Devo Bhava" ­- the guest is God. 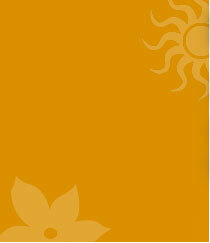 They ensure you get a reply within 24 hrs and work day and night to ensure you have a most memorable holiday. We are at your service every single second of your Holiday in India ! Celebrate & Experience Incredible India with us !